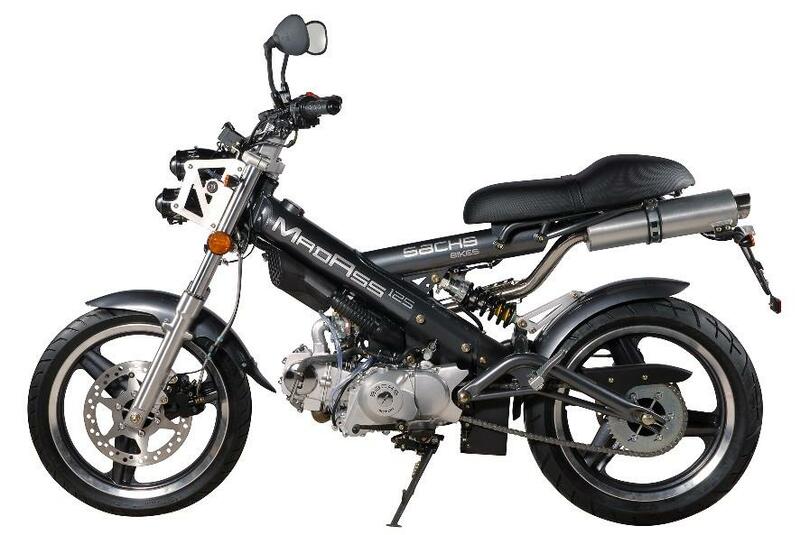 German motorcycle firm Sachs has released an updated version of the MadAss 125. The changes for 2008 have been mostly cosmetic with the addition of matt black alloy wheels with polished rims and a stainless steel exhaust system with a brushed alloy end can. 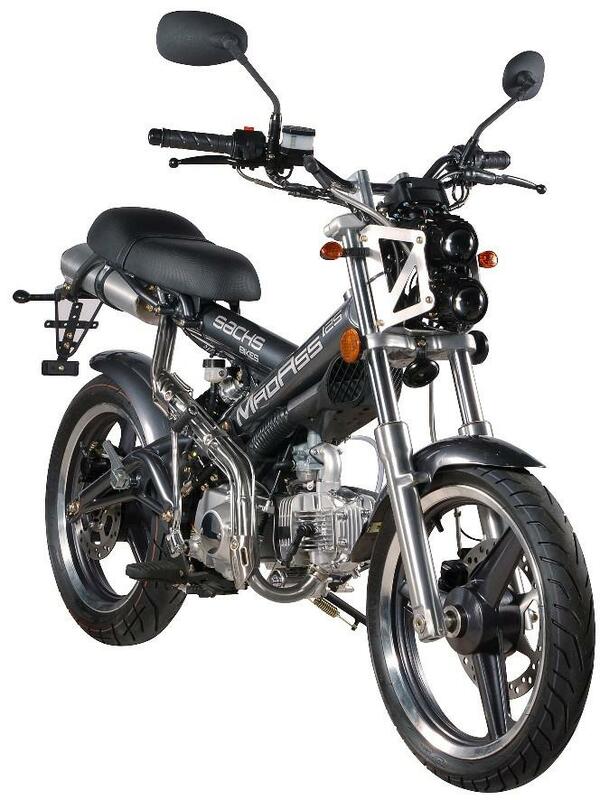 The MadAss weighs just 95kg and its features include monoshock rear suspension, hydraulic disc brakes and a digital speedo. The MadAss will be available in yellow, anthracite grey or black for a price of £1,499.